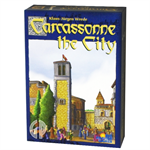 Drake says: "This expansion for Carcassonne provides three new options: Bridges may be used to continue a road over a field tile, thereby allowing an incomplete road to technically run into a field segment. 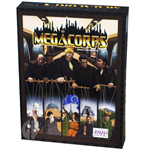 They are otherwise treated and scored just like roads. 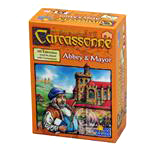 Castle tokens are placed atop 2-segment cities and allow players a chance to cash-in on the next completed adjacent feature. 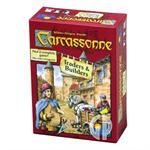 Bazaars are a new type of tile that allows players to auction off tiles in exchange for points." 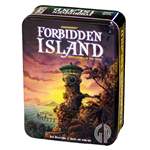 John says: "With this expansion, players have even more option. 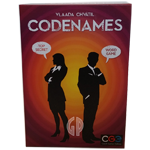 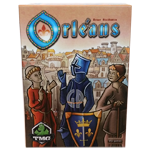 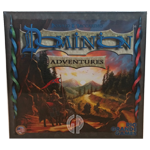 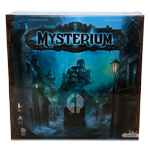 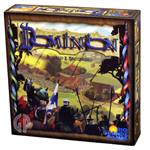 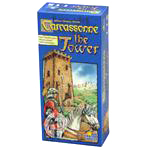 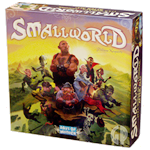 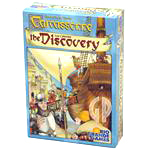 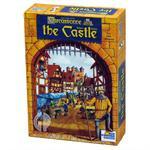 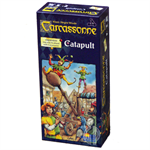 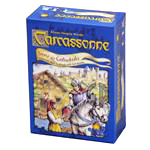 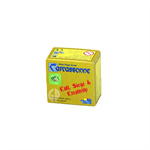 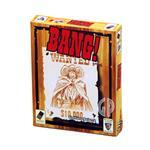 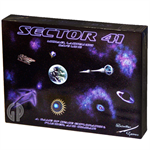 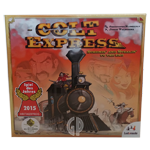 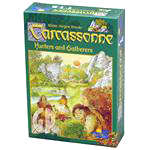 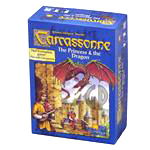 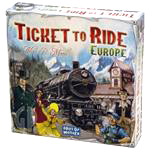 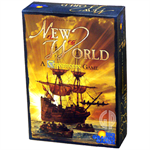 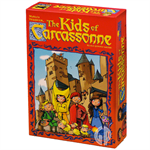 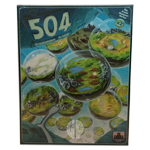 Another welcome addition to the Carcassonne board game family which offers more choices." Traveling peddlers come into the country and organize bazaars, where haggling as art is performed. 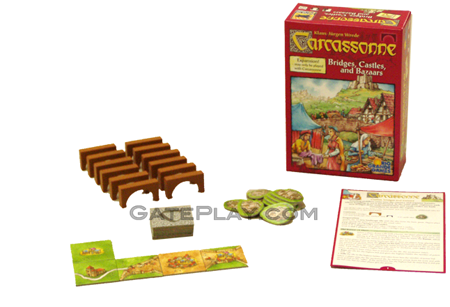 At the same time, engineers with new bridges drive road construction and small castles are built everywhere to secure the region. 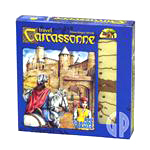 Check out "Carcassonne - Bridges, Castles, and Bazaars" on BoardGameGeek.com!